• An aunt whose checking account was frozen. • A fisherman whose fishing boat was confiscated. • A grandfather not allowed to travel more than 5 miles from his home. • An uncle whose camera, flashlight and radio were taken away. • A family required to carry a pink identification booklet and show it to any official when asked. • A child afraid to speak his native language outside his home. 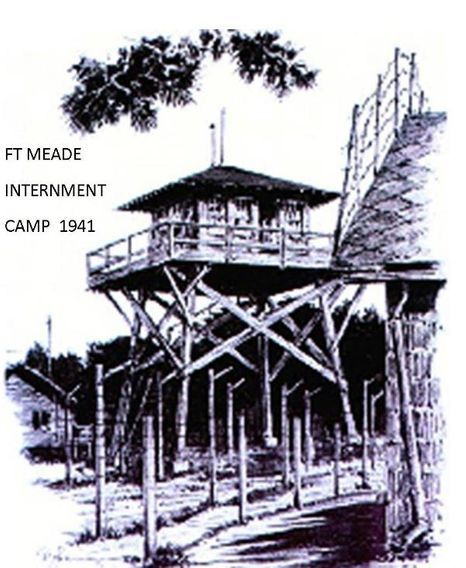 • A teacher arrested in the middle of the night and imprisoned in an internment camp. All classified as Enemy Aliens. Nazi Germany? Communist Russia? Taliban, Isis? No. The United States. 1941. Not just the Japanese. Not just the Germans. But Italians and Italian Americans. “SAY NOTHING,” a feature film project, scheduled to start production 2018. This is a historical drama of a close knit Italian American family striving to keep their belief in the American Dream when relatives and friends mysteriously disappear and are imprisoned in an American concentration camp during World War Two. The day after Pearl Harbor, Italian Americans rushed to join the armed forces and in effect became the largest ethnic group to fight and die for the U.S. military during WWII. Yet they were still considered the enemy. Six hundred thousand Italians waiting for their American citizenship, and several thousand who were already American citizens were classified as enemies under the Enemy Alien Status Act in 1941. They were restricted in their travel, forced to carry identity papers, stripped of certain electronic devices, had their livelihood disrupted, and had their native language publicly denounced as the language of the enemy. Many mysteriously disappeared and were secretly arrested and detained. This story resonates across all ethnic groups today who have been victims of national suspiciousness while maintaining loyalty to the country which they now call home. "SAY NOTHING" captures the resilient spirit and positive contributions of Italian Americans with which people of all ethnicity can identify. We are passionate about this story because in our years-long research we’ve discovered forgotten historical events which are dramatic metaphors for today. This story reveals a piece of American history swept aside for political expediency during WWII. Selective enforcement against Italians in the United States was kept hidden from the public. On the West Coast, open arrest and detention were the norm; but on the East Coast more stealth-like arrests were conducted because the larger Italian American support was needed for the upcoming invasion through Southern Italy and the Democratic Party vote for the presidential election. The Enemy Alien Status Act of 1941 is the precursor to the Patriot Act of today. The dilemma of Post 9/11 suspiciousness of Arab Americans parallels the quandary of Italian Americans during WWII; they either didn’t want to believe it or said nothing. After all, how could their country betray them? Say nothing and don’t speak the language of the enemy outside your home. How many second and third generation Italian-Americans today can converse in Italian? Not many. Our film is unique and makes a contribution to society because it will bring to light a little known subject of modern day national prejudice and suspiciousness against those who fought, died and believed in their country. It is a historical docudrama based on an amalgam of true facts critical for the understanding of how we view ourselves and other ethnic groups in times of crisis. It touches the heart by centering on the positive values of a family struggling to make their lives within a society which gave them both hope and doubt. It is a story that changes, heals and enriches the lives of viewers who can identify with the past in the present and see how they can improve the future. This is a story of dreams, met and unmet, where love and tradition come into play, expectations are challenged and fundamental beliefs are shaken to the core.